The implementation of stereotactic body radiation therapy (SBRT) and stereotactic radiosurgery (SRS) has greatly increased due to its convenience and advantages from perspectives ranging from radiobiology to radio physics. Because SBRT/SRS delivers high doses in few fractions, precise dose delivery to target volumes and sufficient sparing of adjacent organs at risk (OARs) are required. Achieving these conflicting objectives is challenging for all patients receiving SBRT/SRS and may be particularly challenging when SBRT/SRS is adopted for treating patients with cardiac implantable electronic devices (CIEDs) because cumulative doses in CIEDs must be limited. 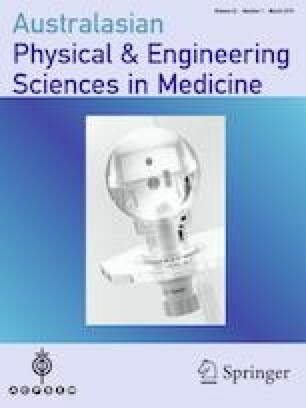 Published research considering the different aspects of stereotactic treatment in patients with CIEDs was reviewed to summarise their findings in the following sections: (I) conventional linear accelerator (linac)-based SBRT and SRS; (II) CyberKnife, Gamma-Knife, VERO and helical tomotherapy SBRT and SRS; and (III) proton therapy. A total of 65 patients who had CIEDs and underwent SRS, SBRT, or SABR treatments were identified in the reviewed studies. The functionality of the CIEDs was assessed for 58 patients. Of those, CIED malfunctions (such as data loss, mode change, and inappropriate shock) were reported in four patients (6.89%). This review highlights the available sparse information in the literature by posing questions for future research. We would like to extend our gratitude to the director, coordinator, and board members in the Department of Medical Physics at the International Centre for Theoretical Physics (ICTP) for providing access to ICTP resources and databases. Sincere thanks to Dr. Recep Kandemir, medical physicist at Dokuz Eylul University, for his outstanding work in translation of reference#38. Also, special thanks go to the editor, and anonymous reviewers for their constructive comments and suggestions. The first author would like to acknowledge the financial support from University of Trieste and European Fund (FSE-S3/2, Project Code: FP1683026001) to perform this study.